COMBINE all the dry ingredients, make a nice mixture of the dried herbs. 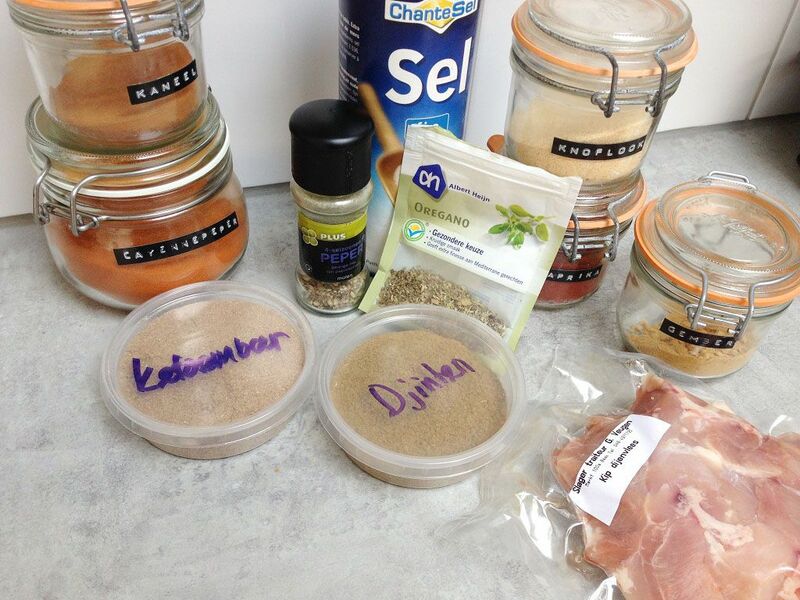 CUT the chicken into smaller pieces and marinate them in the ground herbs mixture for at least 4 hours. 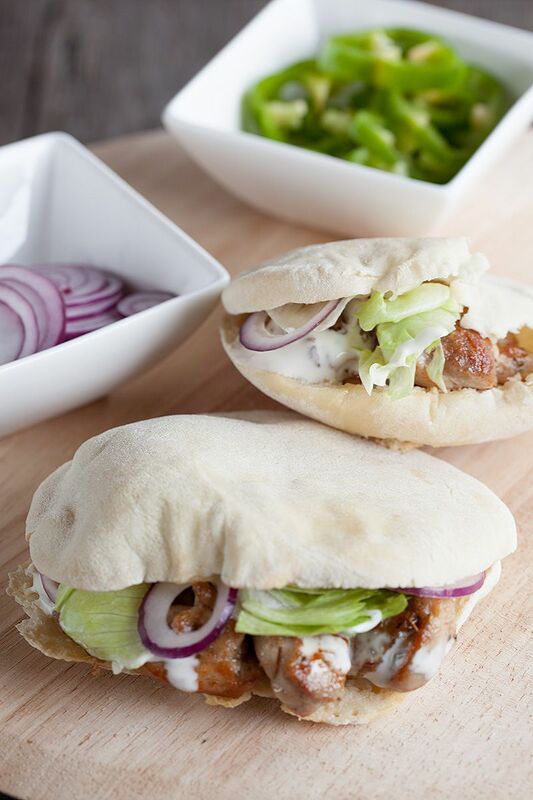 If you would like to have home-made pitas for these delicious chicken, start making them at this point. We have a recipe up on our site, go check it out! For an easy garlic sauce, finely cut the garlic cloves and combine them with the yogurt and mayonnaise. Season with pepper and salt. Prepare the garnishes, cut the red onion and green bell peppers in slices and cut the lettuce in pieces. HEAT a little bit of olive oil in a skillet on medium high heat. ADD the marinated chicken, the smell will be absolutely gorgeous, and cook them for about 5 minutes. 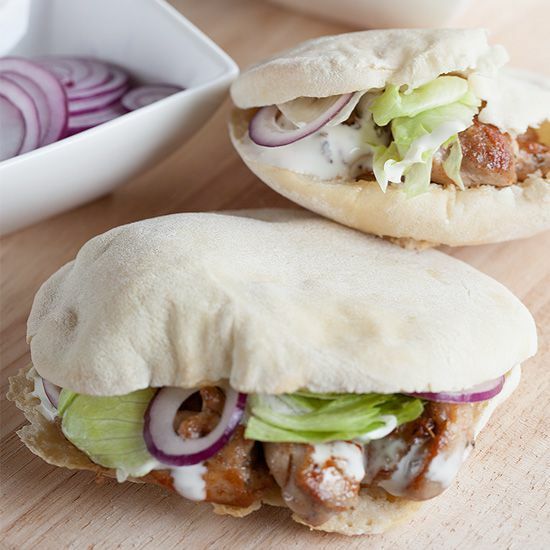 Open up the pitas, fill them with a little bit of lettuce, red onion slices, green bell pepper slices, garlic sauce and chicken. 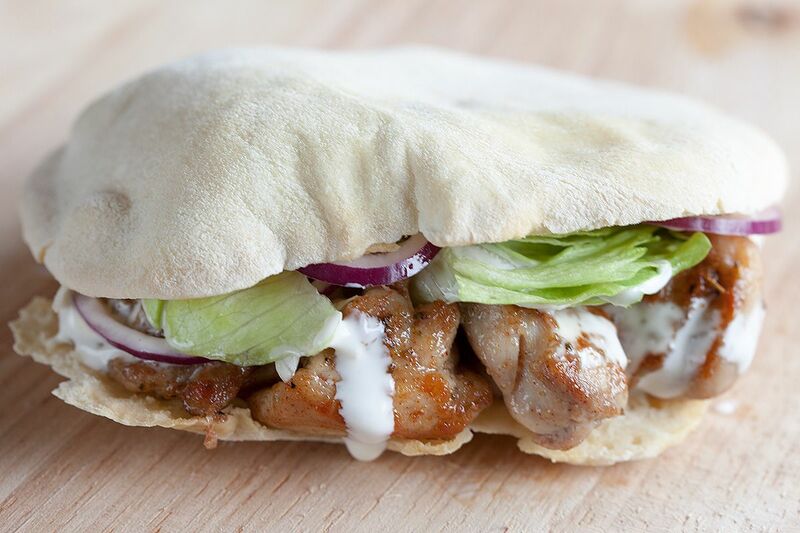 Enjoy the best chicken shoarma (shawarma) you’ll ever had!